Still best known for the monumental 70s work The Battle of Chile, Patricio Guzman returns to the subject of his masterpiece. As the earlier film concentrated on the government of Allende and the Pinochet coup, so here Guzman goes to the Atacama desert and looks at both the astronomers exploring the galaxy at an observatory there, and also the families of those who lost loved ones who had been imprisoned in the former accommodation quarters of a disused mine, used during the Pinochet years as a camp. Sensitively drawing comparisons between the astrologers looking at the impossibilities of time through the telescope, and the families searching archeaologically through the past, this is a marvellously intelligent work of historical feeling and cosmic enquiry. Their discoveries, after all, are unequivocal delights. The discoveries of those searching for traces of their brothers or sisters, rather more troublesome. As one woman explains, she found part of her brother’s leg, the familiar shoe she could identify him by still attached to it. GFT, Glasgow, Fri 20–Sun 22 Jul. 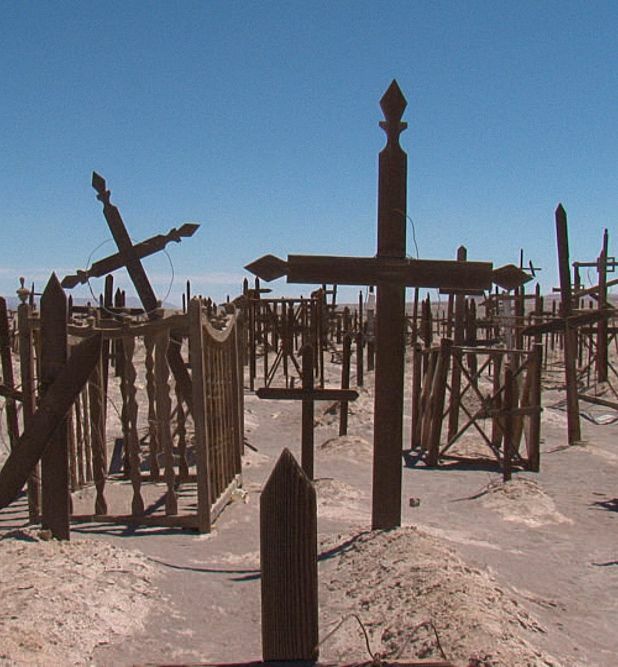 Patricio Guzman's Chilean docu-drama depicts the lives of astronomers and relatives of political prisoners killed in concentration camps in Chile’s Atacama Desert. Sensitive and with a focus on discovery, this film is a marvellously intelligent work of historical feeling and cosmic enquiry.